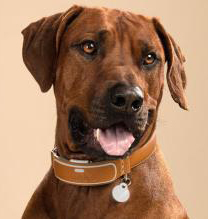 Wagz Inc., a Portsmouth-based company with high-tech pet products including a smart collar and automated food dish with biometric analytics, recently announced the acquisition of Smart Pet LLC’s Link AKC smart collar. Wagz has been aggressively developing and launching high-tech pet products, while investing in acquisitions that fit its family of connected pet home products. Beyond the product, as part of the acquisition, Wagz will also gain six new employees and appoint Heberto Calves as chief growth officer of Wagz. The announcement marks the second acquisition of the summer for a Wagz brand that is breaking new ground in developing the first connected line of pet products. Wagz acquired pet treat dispenser pioneer Petzila in June.